Salbæk Technology Group: Terms and conditions. a. 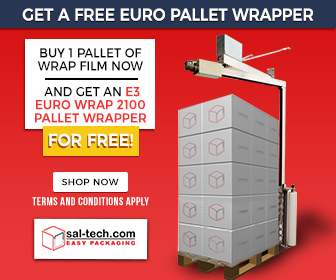 The company name "Sal-Tech", ("we", "us") used in this document covers all companies, subsidiaries or branches within Salbæk Technology Group, including, but not limited to "Sal-Tech Easy Packaging v/G. Salbæk (CVR Nr. DK 18429098) " and "Sal-Tech HKG Limited, (registration Nr. HK 1553382). " b. Sal-tech reserves the right in relation to any order. a. Delivery is made ExWorks (Incoterms 2010) from our warehouse which entails that the buyer bears the risk and any other ancillary costs (VAT, freight, insurance), that are incurred after the goods are picked-up from our warehouse. b. In pursuance to a contract of sale, when Sal-Tech places the goods at the Carrier or Freight Forwarders appointed by the buyer for the purpose of transmission to the buyer is prima facie deemed to be delivery of the goods to the buyer. c. In cases where the order amounts to 75.000DKK or 10.000 USD/Euro or less, then the buyer may confirm the delivery of the order via telephone or email. d. In the case where no order confirmation has been communicated by the buyer within 7 days of delivery being taken, then Sal-Tech will be accept that delivery has taken place and the buyer will be liable to pay the monies due for that order upon being invoiced. a. Sample sent/borrowing goods must be agreed prior to the order being placed, which must be in writing and expressly stated in the invoice. b. The buyer accounts for all costs which may be associated with freight charges, including any ancillary costs. c. Sample sent/borrowing is solely for testing purposes, but once the goods are used by the buyer for the purpose of their actual production/use, then the purchase price is due to Sal-Tech, thereof. d. Exceeding the date fixed for the return of the sample will entail that the purchase price for the goods is due within 8 days, unless otherwise agreed. a. Provided that the buyer is awarded a prize and/or discount agreement, payment will be net cash advance or immediately upon delivery. b. In case a buyer seeks a finance agreement, this can only be made when the buyer has shown a timely payment pattern over a number of invoices and period. c. Likewise, it is required that the buyer uses a purchase requisition system to deliver written orders by email stating their reference number, and undertake to keep Sal-Tech updated about communication times, as well as significant changes in accounts / budgets etc. that may impact our assessment of creditworthiness. Receipt of delivery is communicated to us. b. The purchaser is obliged to promptly inform where the equipment is kept, in the same condition as received upon delivery, if payment is not met. c. Leased equipment must be securely labeled as having ownership of the Sal-Tech. a. All our prices stated are exclusive as delivery is made ExWorks (Incoterms 2010). The buyer stands for any surplus charges related to the sale of goods, including but not limited to, VAT, customs charges, environmental taxes or any other ancillary charges which may apply for the delivery of the goods to take place, unless otherwise agreed. b. Sal-Tech reserves the right to correct or amend any errors in pricing without being legally bound by any agreement. c. In case of currency fluctuations greater than 5% , we reserve the right to change prices without prior notice. a. Standard materials: Payment should be made by the buyer within the time frame of net 8 days from date of being invoiced, specifying their company name and all other relevant details ancillary for the payment to be successful. b. Equipment: Net cash to be paid on delivery. In some cases, only against partial or full payment in advance, typically relating to machines which are non-stock and machines worth over 50.000DKK/10.000USD/8.000 Euro. c. Special materials and materials not normally on stock are shipped 50% on order and 50% within 8 days net from date of invoice. d. Orders below 1.500DKK/200USD placed online without having applied for a credit line will be automatically discharged by Sal-Tech. e. Where the buyer fails to pay in due time, then the buyer will be charged an interest for late payment at the rate of 2.0 % per month. a. Sal-Tech reserves the right to reject any order if we honestly believe that having the goods delivered will prove to be burdensome, including but not limited to the transportation deadline being too short/ creditworthiness of the buyer/ force majeure reasons. b. Sal-Tech will not be held liable for any damage done to the goods during the shipment/transportation period. c. Without in any way being obliged to do so, Sal-Tech will assist the buyer in remedying any loss/damage/delay done to the goods during the shipment/transportation period. a. If it can be proven by the buyer that the goods that were delivered to them are, or have become defective within a 1 year timeframe of them being delivered, then the buyer retains the right to have them repaired, free of charge by Sal-Tech. b. Warranty does not cover labor or components exchanged due to mishandling of the goods which includes but is not limited to; rough handling or excessive use, fault in operation, use of unoriginal spare parts or material, faults in fixed installations, faulty fuses or lack of necessary cleaning. c. Warranty claims must follow item number, machine number and delivery Invoice number. d. Any ancillary charges incurred for the purpose of the repair of goods at the buyers address must be borne by the buyer including but not limited to, driving hours and mileage costs and other possible travel cost(s) associated. e. Machines that are submitted to one of our repair facilities will be repaired free of charge except for costs in connection with shipment/ transportation of the goods to and from our workshop. f. For guarantee work done at the buyers place of business or at our workshop, it must be clearly stated on the service report that the part(s) are accepted for exchange under guarantee, else the parts and labor for exchange will be charged as they are noted as wear parts. a. Sal-Tech is responsible for the quality of the goods sold, and thus, provided that it can be proven that the goods delivered to the buyer do not match that standard and that the product/installation is due to the negligence or fault of Sal-Tech, then we will seek to remedy that fault. b. Defects in the goods are not recognized if they constitute minor deviations contrary to that stated on the product specification. d. Sal-Tech's product liability shall never exceed Sal-Tech's insurance coverage. a. Goods are sold without the right of return. In case of agreed return, only 90 % of the invoice amount will be credited unless otherwise agreed. a. Sal-Tech provides optional service to install/prepare certain machinery or equipment. In the event that Sal-Tech needs to perform provisioning and installation, the buyer will be billed contracted hours used instead of our hourly rate for service work. b. Provided that the provisioning and installation happens within a period of day’s gap, then those days/hours will be billed, unless otherwise agreed. c. The buyer shall be responsible to supply lifting and transport equipment necessary for the installation and necessary additional staff, unless otherwise agreed. d. Unless otherwise agreed, we invoice per hour and kilometer rate which accounts for a minimum charge of 50 km for any services that we supply from the starting point of where our technician(s) are based to their return to that same base. e. The buyer accounts for the costs associated with travel and driving, such as bridge fares, airline tickets, hotel, meals, etc. which will be billed at cost in addition to a 15 % handling fee. g. Sal-Tech's product liability shall never exceed Sal-Tech's insurance coverage. 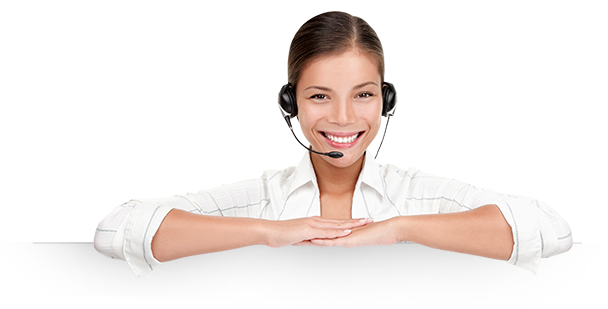 a. Sal-Tech assumes that the buyer can solve common technical and operational issues, yet the buyer may call in for our advice where they will be billed based on our regular hourly rate basis for the services that we provide comprising of minimum of 5 minutes where the minimum billing accounts for 30 minutes. a. Complaints must be promptly communicated to Sal-Tech in writing within 5 days of delivery/order confirmation of the product and/or service. b. A possible complaint does not suspend any payment due, unless otherwise agreed in writing by Sal-Tech. c. Sal-Tech will do its utmost best to reach an amicable settlement with the buyer in case a complaint is received. a. Service work and driving hours shall be billed on an hourly basis where the minimum billing accounts for 1 hour with subsequent division into half hours per commenced device. b. The regular hourly rate shall apply to hours between 6:00 and 18:00 and a maximum of 7.5 hours per day. a. All intellectual property rights are reserved with Sal-Tech including but not limited to, copyright, patents, texts, trademarks, illustrations, photos, graphics, files, designs, arrangements etc. b. Sal-Tech’s website is protected by copyright and all contents therein. c. Provided that the product is delivered with embedded software, the buyer only obtains a non-exclusive software license in the form of rights to use the software which is limited to the purposes set out in the relevant product specification. Beyond that, the buyer obtains no rights in the form of license, patent, copyright, trademark or other intellectual property right associated with that product. The buyer acquires no rights to the source code of the software. d. Delivered manuals and drawings may not be copied or distributed without our written consent. e. Translations are always Sal-Tech's property and copyright protected. a. Any information that is not publicly available, including drawings and technical documents handed over by Sal-Tech to Buyer ("Confidential Information"), shall remain Sal-Tech's property and must be treated as a Tradesecret by the buyer. b. Confidential Information shall not without Sal-Tech's written consent be copied, reproduced or transferred to third parties or used for any purpose other than that the transfer was intended. c. Confidential Information shall be returned on demand to Sal-Tech. a. Sal-Tech's products must not be used/resold for illegal purposes, including but not limited to, production of, weapons, missiles, drugs etc. b. Sal-Tech always acts in good faith and provided that condition 18.a has been breached, then Sal-Tech cannot be held liable. a. Sal-Tech does not take responsibility for; and may cancel any order that results in late delivery/loss of goods due to circumstances beyond Sal-Tech's reasonable control, such as; riots, civil commotion, war, terrorism, fire, government regulations, strikes, lockouts, slow-down, lack of transport, shortages, disease or delay in or failure of the deliveries from suppliers, accidents in product testing, and/or lack of energy supply. a. he Court of Sønderborg, Denmark will have non-exclusive jurisdiction to adjudicate any dispute arising under or in connection with the agreement, unless otherwise agreed by the parties in writing. a. NLM2010 will form the basis for any agreement between the Sal-Tech and the Buyer for any conditions that have not been mentioned above.